How to Create Business Blog…in 3 Simple Steps? Making a successful website or blog for a small business, isn’t as quick as you might think. By the time most folks have gone through the hassles of getting their website or blog designed, uploaded and live online they are DONE! They don’t want to hear anything else about the Internet especially something about online selling or marketing — they just want their very expensive site to start making money – right now. 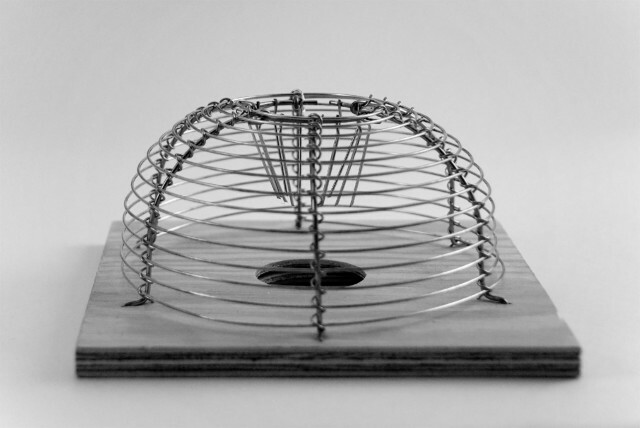 Are you a victim of the Better Built Mousetrap Syndrome? And first-time website or blog owners embrace this remark with a passion, especially if it has taken several weeks, or a couple of months or even years (yes, I said years) to get a site completed to their liking. The first problem with this syndrome is unless, you are offering something truly unique to your marketplace or industry, you are probably are not really selling a “better” mousetrap. You are more than likely offering something most people can easily find down the street or can have shipped to them in a matter of days. And even if you did have the “better” item, since 2005, every year some 156,000+ new products were introduced into the world market — with most of they were bombing within 6 months. The second problem with this syndrome is the “beating a path to your door” bit. Online there are billions of small business sites — the Web is pretty cluttered and overall your “path” is virtually invisible the average web surfer. The chances of people finding your site without the proper online promotions are the same as if you asked someone to drive to your new county house for a party — but everyone is from out-of-town, they have no maps and due your rural local GPS devices don’t work plus they are driving down a winding country road (in pitch-black darkness) looking for a tiny balloon on your mailbox that marks the half-mile dirt road that leads to the house! Hmm… not to be a jerk, but you see what I mean, it just ain’t gonna happen. No one is coming to your site unless they know the exact spelling or your domain name or URL and type it directly into Google or you email them personally and ask them to. So you have to make your website successful, you have to make it stand out from the crowd by setting up digital version of neon lighting. When I mean consumer-focused content — I mean writing a lot of useful articles (i.e. blog posts), special reports, white papers, fact sheets, downloadable documents (.PDFs), or sharing multimedia files such as images, videos or audio files. Consumer-focused content is basically information that helps people solve problems, understand complicated products and services or help them come to a good buying decision. When I say a lot, I mean as near as I can tell from both my research and my professional experience, it could take anywhere from 50 to 100 blog posts (in a highly competitive market) before a website reaches a “tipping point” and starts to rank well as an authority site. Authority sites are websites or blogs that are seen as a “trusted resource” by its visitors. They offer lots and lots of free, useful and relevant information. And search engines like Google LOVE authority sites. This means that when your website becomes a “authority” it will naturally pull in more traffic without expensive promotional efforts on your part. And while the search engines will not publicly admit to it, once a site becomes an authority in its local area or niche, they will frequently remain in the top rankings, despite massive (costly) efforts to overturn them. So in order to have “people beat a path to your door” you are going to have to go out and publish articles, blog posts, online press releases, guest posts on other blogs, email newsletters, videos or downloadable free PDFs – whatever you can think of. Now that you understand why you can’t leave your website lost and alone in wilderness of cyberspace, you can start promoting those blog posts. All websites or blogs require a lot of marketing effort after they go live online. You must apply constant and consistent promotional efforts to make any site more profitable. In order to attract the attention of interested web visitors, to keep them engaged and coming back for more; you must actively promote your website and its content using online communication channels. Yes, you must promote the website that is promoting your business. Sounds crazy, right? But bear with me just a second and I’ll explain. You can create great blog posts, fantastic video, etc. but as we both know, building a “better mousetrap” is no guarantee that anyone but some unlucky rodent will ever stumble across it. So you have to go out into the world and drop some tiny chucks of cheesy goodness – where the rodents…uh, potential customers are currently hiding out at – and lead them back to the trap…uh, your website. To do that you need to use 2-5 online communications channels. What communication channels you might ask? 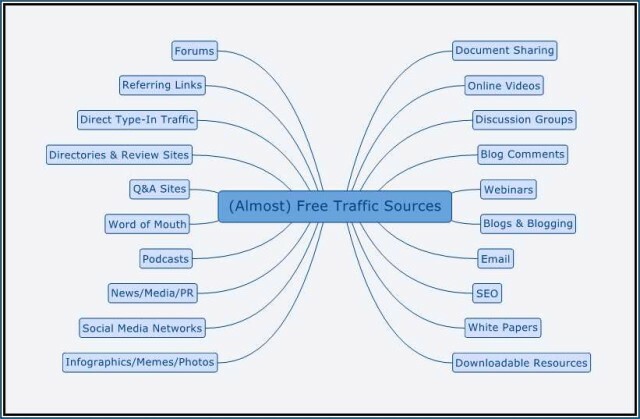 The image below shows just a few of the channels you can use to promote your website. As you can see these channels are free or very close to it. Some are created by you or your staff (like videos, emails or podcasts), while the others are created by people outside of your control (word of mouth, referrals or online reviews). Conversion is the process of turning fly-by website visitors into prospects, and prospects into paying customers or clients. This means when you publish your consumer-focused content you must include a call-to-action. A call-to-action just means that at the end of every blog post, special report or video, you TELL your audience what you want them to do next. You could either point the way to your products and services page for the quick sale or if you are smart, you can invite them to join your email list so you can follow-up with them over time. Other times you just want your audience to click to download a free ebook or buyer’s guide or just read another blog post or watch one of your business videos. No matter what you would like for them to do, you must always end your blog post with a call-to-action that moves people forward towards a sale or in-store visit. If you would like some professional help or advice in building a better website sales trap, then I invite you to get a free website consultation here.